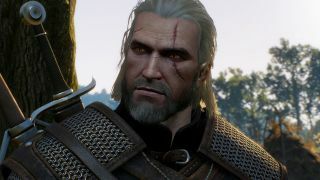 Worried The Witcher 3 might have received a graphical "downgrade" on PC? We decided to put it to the test by cranking all the settings to the max and recording at a glorious 60 FPS. The rig we used had no trouble staying at roughly an average of 64 frames per second while recording, only dipping to the mid-to-low 50s in areas with lots of foliage and trees—though, to be fair, that rig does have 32GB of RAM and two GTX Titan Xs. Watch the video above to see just how good The Witcher 3 can look. As always, be sure to remember that our average frame rate was negatively impacted by our need to record while we play. As I explained in our GTA 5 max settings video, recording can be very taxing on a machine, even with Nvidia's relatively low impact Shadowplay program. On my home rig, which has 8GB of RAM and a GTX 760, I was hitting an average of 38 FPS on medium settings without recording. Had I been recording, that number would be unlikely to ever hit 30 FPS.